He is the Peter Pan of Magic, because he can convince the rest of the children that they can fly. They can’t really fly, but they think they can. It’s because of the hallucinogenic mushrooms he found on the island and then fed to the rest of the kids, just like in Peter Pan. You don’t remember that part? I guess you must have skipped that chapter. Check out that Flanking, though! 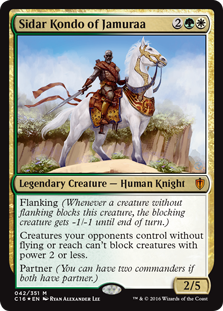 This man will not be damaged by those few 1-power creatures that happen to have flying or reach to be able to block him, no sir. Thopters begone! He laughs in the face of the Baleful Strix! He scoffs at your opponent’s Arachnogenesis! Sweet horse, too. The problem Sidar presents is that to take advantage of his major ability, your creatures have to have power 2 or less. 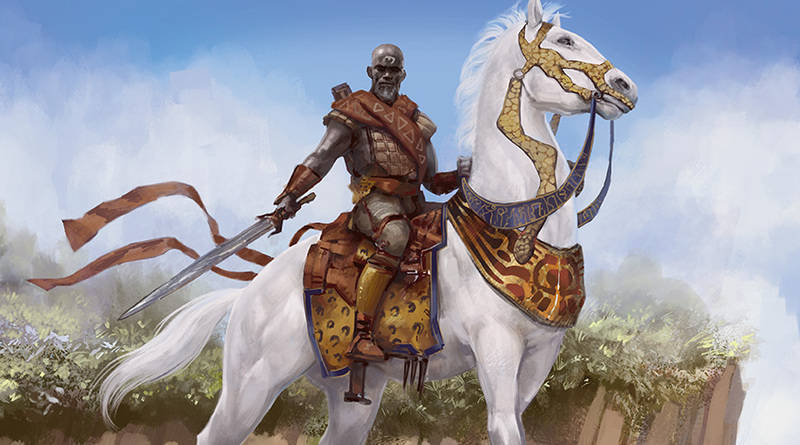 One possible approach is something that tutors for Doran, the Siege Tower from a deck that is loaded with low-power, high-toughness creatures. 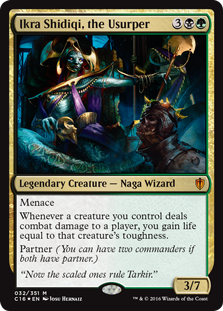 That, in turn, implies partnering with Ikra Shidiqi, the Usurper to synergize with the high toughness creatures that are already in the plan. However, I’m not a fan of building decks that depend too strongly on a single card in the main deck. Depending on the commander(s) is fine since they are always accessible from the command zone, but building a deck around a specific card in the 99 or 98 implies including a lot of cards just to tutor for that one specific thing, which dilutes the creativity of the deck building, in my opinion. If only there were a way for low-power unblockable creatures to be relevant in Commander. It’s a tough question. Long-time listeners of the Commanderin’ podcast may be familiar with my approach to this particular problem. Way back in Episode 25, we talked about my build for Ezuri, Claw of Progress. Mechanically, Ezuri and Sidar Kondo both care about having a deck where the creatures have power 2 or less. As I found with my Ezuri testing, there are enough small creatures with the Infect keyword to build an effective deck in blue and green. Depending on your meta, this may draw immediate aggression from the rest of the table united against you, so be warned. Note that Grenzo’s inclusion here in the search results is accidental, due to his ability costing 2. If we had searched for “power 2 or less” in quotes as a contiguous phrase then Grenzo would not show up in this list. However, since he prefers creatures with lower power his results are still useful in our desired context. Long-time listeners of the Commanderin’ podcast may remember that time I built a Grenzo deck based around the dual themes of Infect and Christmas way back in Episode 29. Ah, good times. Since there is only one red/black partner and Sidar has neither of those colors, including either Alesha or Grenzo would require partnering Sidar with Vial Smasher the Fierce. I just envisioned an unblockable Master of Cruelties with a Blade of Selves, but maybe I’m getting ahead of myself. I was leaning in the direction of making a Bant green/white/blue deck here, but let’s see how this goes. Here’s a neat EDHREC trick. 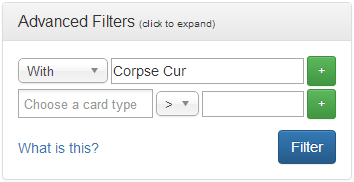 Go to the Ezuri, Claw of Progress page and add an Advanced Filter to show decks with Corpse Cur. Corpse Cur is a card that strongly adheres to a specific strategy. More importantly for this trick, the card inherently expects the rest of your deck to follow the same strategy. Since the card is colorless, any commander can use it, so we have more results to work with. Scrolling down to the Signature Cards section, you may notice a common theme. Every signature card is a creature with infect. Since it’s an Ezuri search, all but one of those creatures has power 2 or less. 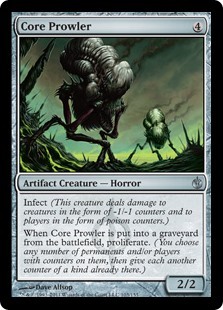 The exception is Phyrexian Swarmlord, which happens to make token 1/1 creatures with infect so it gets a pass. For the budget conscious, each signature card is currently less than a dollar. If we try the Corpse Cur trick with Alesha, Who Smiles at Death, we see that those results have a similar theme. The Corpse Cur trick works with a lot of commanders. 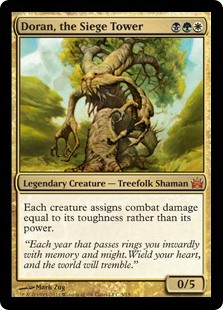 Is our theoretical approach to Sidar Kondo + Vial Smasher just better as a Saskia deck? Since Saskia’s ability lets the creatures themselves do the bonus damage instead of Saskia as the bonus damage source, then it doesn’t stop infect from doing its righteous and holy work. We can do the Corpse Cur trick with Saskia the Unyielding and get results similar to our previous searches. A point against Vial Smasher is that she does regular damage against players. This is a different direction of win condition than poison counters. Infect damage has no impact against a player’s life total, so there isn’t much reason to cast Vials in game. We could include a Grafted Exoskeleton just for Vials, but that feels too limited. I’m not big on building decks that don’t plan on casting their commander. 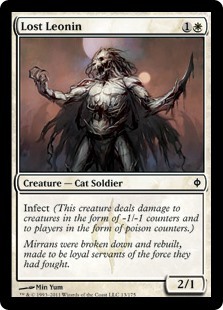 On that note, would a Saskia infect deck want Sidar Kondo at all? Without him, we wouldn’t need to limit the deck to low-power infect creatures. 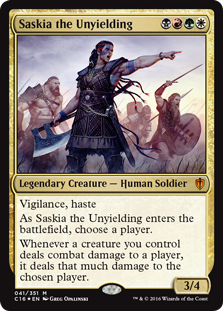 OK, I’m putting “Saskia Infect” in the future idea folder and moving on without Vial Smasher. Let’s try a different approach and group the potential partners by the color(s) they add. When it comes to infect, red and white are the weakest colors. Black and green have the most infect creatures. Blue has the proliferate ability and its own ways of adding unblockable, but that might be redundant. Adding both blue and black gives us a similar color problem as Vial Smasher, but we would be locked into Silas Renn, Seeker Adept instead. I don’t see this deck running enough artifacts for that to make sense. There are two Izzet partners that we haven’t mentioned yet, but neither Ludevic, Necro-Alchemist nor Kraum, Ludevic’s Opus seem to be a good strategic match. Ludevic, in fact, does not help this strategy at all since the infect creatures do not cause any opponents to lose life. Ishai isn’t going to get any benefit from Sidar’s ability for two reasons. First, the whole point of Ishai is that it does not stay low power for long. Second, Sidar’s ability is ineffective against flying or reach. Since Ishai already has flying, it was already unblockable except by flying or reach. Thus Sidar’s ability is doubly moot! “Doubly moot” is fun to say out loud. Try it. Moving on, Kydele has her own baggage of including massive card draw spells before she becomes very useful. I think Thrasios is the strongest choice here since he’s self-sufficient in terms of not needing other cards to be useful himself. 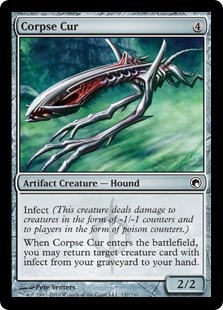 Ikra is not a bad choice, but our category of low power infect creatures tends to have low toughness as well. We won’t be getting much life gain from Ikra this way. Both Ravos and Reyhan act against Sidar’s ability since they both want to make the rest of your creatures have a power higher than 2. Tymna is a reasonable choice, but might draw more table hate. Since Tymna’s ability is stronger if you attack more opponents, her appearance implies to your opponents that you’ll be attacking everyone. 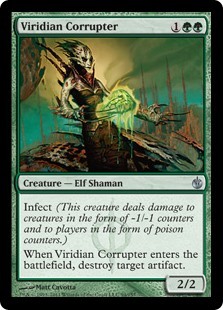 It may be harder to make those fleeting and ephemeral political alliances, especially if you are attacking with infect. However, in her favor she does have a power of 2 herself and lifelink as well. She does not have infect, so you could attack one “friendly opponent” with Tymna and send your Infect in the other directions. Akiri doesn’t help us with our current goal and, as with Silas Renn, it depends on more artifacts than we were planning on including. Bruse is a strong contender, as he usually is with any deck that intends on winning through combat damage. I have already given my opinion on the Tana + Sidar combination in my Tana article (hint: it’s negative). I’ve been throwing around the word “unblockable” a bit, but it’s not quite the case. If your opponents have creatures with flying or are, for some reason, running an Ishkanah, Grafwidow spider tribal deck that is packed with reach, then Sidar’s ability does little to help the rest of your creatures. Consider adding some anti-flying cards. Luckily, green has plenty of options in this particular category. Corrosive Gale, Hurricane, Squall Line, Tropical Storm, and Windstorm are all green X spells with variable damage against all the flyers on the board. Clip Wings is a handy instant with one of my personal favorite phrases: “Each opponent sacrifices”. If we go with blue, we could use Archetype of Imagination which bypasses the flying problem entirely, but at that point we didn’t need Sidar Kondo in the first place. And it still does nothing against a deck with reach. Damn you, Ishkanah! Nate is a game developer, programmer, and writer from San Francisco. He is a co-host of the Commander Time! podcast, a former co-host of the Commanderin’ MTG Podcast, and does occasional programming with EDHREC's database. Nate can be found @commandtime and/or @misterplorg.